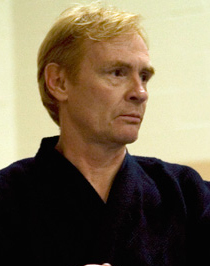 Professor Tom Hill, Shichidan, has studied Danzan Ryu Jujitsu since 1971. In 1982 he opened his dojo, Shumpukan, in Stroudsburg, Pennsylvania and continues to practice martial arts four days a week. He also holds the rank of sandan in kendo with the All American Kendo Association and the rank of sandan in Iaido in the Meshin Muso Ryu style. He was Region IV Treasurer for several years and Public Relations Manager with the Board of Managers.